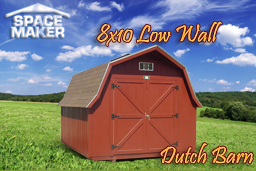 Do you like the look of the old barns with the gabled roofs? If so, make your next purchase for additional space the 6x8 steeple gray gable building, with the classic gabled roof and triangular panels at the ends. This small addition to your yard can be used for just about any purpose. 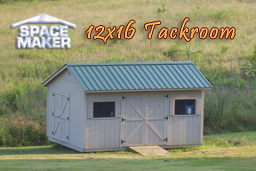 Whether you intend to use this custom portable building as a storage facility or set it up like many workshops you've seen is possible on television, it's a perfect little cove for your needs. An insulated roof decking and 25-year shingles for protection and coverage, even including an overhang on all sides to help protect the exterior of the building. A fascinating floor, covered in 5/8-inch plywood decking that has been sanded down to a smooth, level finish and placed atop 4x6 pressure treated runners and 2x4 floor joists. Walls framed on a 16-inch center, completing a sturdy design that would be the envy of the owners of many shops. A choice of colors that can be set up to match your home when a sample is provided for a professional matching machine. 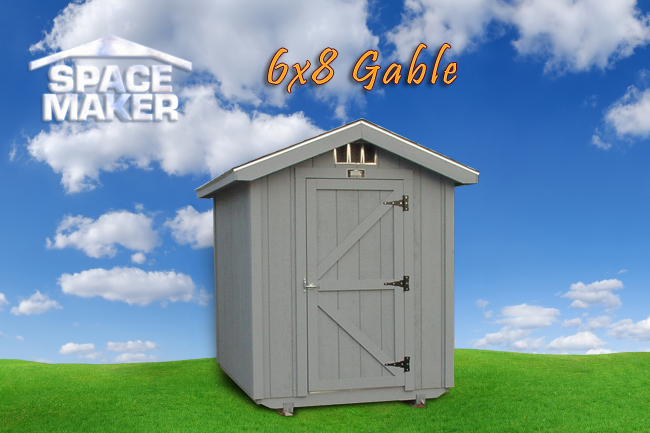 Storing materials you may need later in this small but functional and beautiful gable. 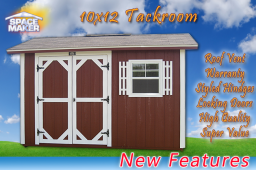 Rest assured that the gray paint will last and last, layered on top of Western Fir siding with a baked on primer meant to extend the life of the paint on your custom portable. Don't hesitate to look at our other products, either, in case this is not what you need. 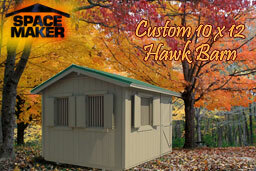 We have plenty of other designs, including custom buildings that can be drawn to your liking.